The Body Shop is giving out more samples! 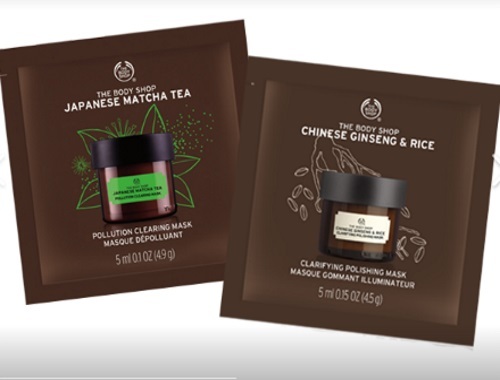 Be one of the first to try their Chinese Ginseng & Rice Clarifying Polishing Face Mask and the NEW Japanese Matcha Tea Pollution Clearing Mask for free! Click on the link below and click "claim it" and/or "share it" to get your samples. An email will be sent to remind you to pick it up in-store, you can also download your coupon right away. Don't forget that coupons are only redeemable in-store while supplies last. This coupon is redeemable at participating The Body Shop retail stores only until November 19, 2017 or while supplies last Offer not valid online.